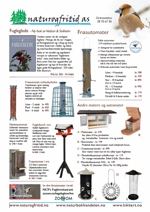 Guide som dekker både pattedyr, fugler, øvrige vertebrater, virvelløse dyr og planter. New Zealand is a popular tourist destination with a wide range of dramatic scenery and a long list of endemic species. Although the country’s wildlife has suffered as a result of unwelcome introductions, most species have managed to survive thanks to a number of dedicated and inspired conservationists. This glorious photographic field guide illustrates most of the vertebrate species to be found there, as well as a large number of typical invertebrates and flora. The photographs are accompanied by a succinct text, and this portable guide will be invaluable to all visitors to the country with an interest in natural history.